Facebook also started interactions like adding video ads at the end of the video, but now it has been changed to in between videos. Nowadays ex-plainer videos popularity has been raised. Expliner video can reveals the entire content of that video description in first few seconds. Some video will play automatic while scrolling the news feeds. The Facebook Video Autoplay get more popular in video marketing. Facebook h ad also improved the video analytic tool by introducing a dedicated “Videos” tab which allows marketers to track views. The users cannot opt for the video ads and there is no force on user to watch the ads. The data is consumed if and only if the video is played with a sound. Facebook video auto play videos show more impact on video ads. when anybody using Facebook Video auto play on their ads this generates more revenue. 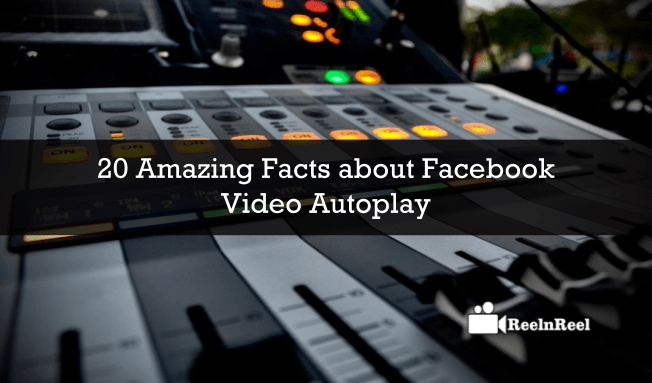 Here are some facts about Facebook video auto play. YouTube Channel Suspended – What to do?